Distances is an album by Claude S. of Anything Box. Available now! Rarities EP by Claude S.
There's only one way to get the free Rarities EP by Claude. 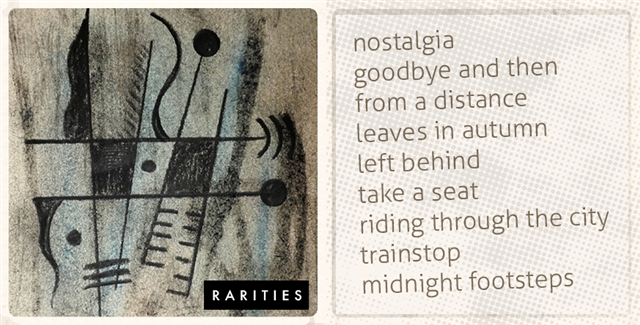 If you like the nostalgic feeling of lo-fi recordings, this little gem might really brighten up your dull days. Or who knows? Maybe it will darken the bright days. The recording can be yours by signing up to be part of my free secret society of great music. Just fill in the form, and the link will be emailed to you via the pixel particles of the cyberverse. May my portal serve you well.